For more than 55 Years Dr. Hänsler Ozonosan is specialized in Ozone-Oxygen-Therapy. 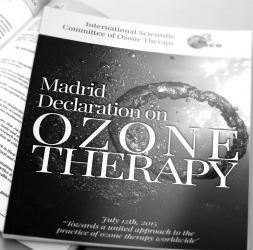 In addition to ozone technology, the company has also devoted itself to basic scientific research and clarification on the application forms of ozone therapy, thus developing a safe, simple and effective treatment method now recognized worldwide. At Glozone we searched worldwide to find the best quality Ozonated Cosmetics for our Customers. Having met the criteria, the products are of an exceptionally high quality using Ozonated Cold Pressed Organic Olive oil as a base and not tested on animals.